Whatever your business size or application, our access control London specialists can tailor access control systems to your specific building requirements to provide the utmost protection and security. All Security Solutions are professional access control installers in Essex and London, who can guarantee the best technical advice and service there is on the market. We have had some excellent experience with projects ranging from a single door access system to a multi-site multiple hundred door integrated security systems. The access control systems which we design and install can be either PC based or they can be a standalone access control system which can be programmed via a code or card. We cater for every situation to ensure you will benefit from an honest quotation no matter how big or small the job is. We strive to achieve 100% customer satisfaction each and every time. No matter the size or scale of each project, we aim to complete every task to the highest standard. We can supply and install access control systems in Essex and London, which can be incorporated into your current security system. 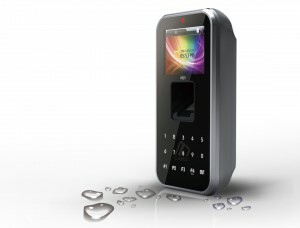 We also can also incorporate an IP access control system into an existing network infrastructure. This is beneficial when operating on a live building without the need to cable throughout. Such is the way with any security system, our team of access control specialist engineers work to maintain the security of your business, helping to protect your long-term investment and to ensure the security system runs smoothly for years to come. As the access areas and doors will be controlled by powerful electromagnets, they will only be released on the condition that an authorised person’s fob has been recognised on the keypad. We design and install PC based and standalone access control systems, giving you complete peace of mind and guaranteed security. If a fob goes missing or a person is no longer allowed access, they can simply be removed from the system. As the system is computer-based, you will be able to track employee movements and activities, and the movement and activities of visitors too. With an access control system, you will not have to fork out a lot of money if someone happened to lose their keys. Instead, we would refigure the code to deactivate the lost card or fob, and issue them with a new activated device. This is much cheaper than having locks changed or having to call out a locksmith! 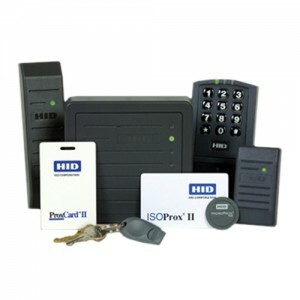 Access control systems can be set up to your specific requirements. You will have complete control over the premises and where you will be able to grant different levels of access for different people. You can even restrict entry and movement around a building for specific individuals. The beauty of our access control systems is that they are highly flexible, so they can be used to restrict access for particular areas and incorporate any time restrictions. The access control systems will also be configured to automatically open when a fire alarm is triggered, so safety is not compromised to achieve security. Paxton Access specialises in access control solutions. With a wide range of products on the market focused on designing systems that are fit for their purpose, containing the important features that are necessary for well-run organisations, user friendly and cost effective are the key features to Paxtons success. TDSi products are at the heart of security systems across the world. For more than a quarter of a century their quality range of cost-effective access control solutions has been developed to meet the needs of projects across a wide range of markets, both in the private and public sectors. From standalone door-controllers to fully integrated access control software management suites, each of our products delivers the same combination of reliable performance, technical excellence, elegant design and value for money. Fully integratable with lift control and other third-party applications. At the most basic, biometrics can be best explained by breaking down the word: bio, as in biological; and metric, as in measurement. That is to say, biometrics are biological measurements. Thanks to the unique nature of many of these measurements, biometrics are particularly suited for identification. Fingerprints, facial measurements, the patterns that your veins make and even the way you walk – all of these characteristics and more are unique to you and you only. At All Security Solutions, we focus on the technologies that measure biometrics and apply them to identity verification. Sometimes that means proving to a computer that you are you and are allowed to access your email, other times it means law enforcement officers uncovering wanted crooks. In every case biometrics allow for a high level of efficiency and assurance when it comes to every transaction dealing with identity and credentialing. Proximity cards, also known as Prox cards or access control cards, are contactless ID cards or key fobs containing programmed data. This is a great way to provide unique trackable identity and to monitor day to day activity within your working environment. The data, or code, is “read” by a card reader and transmitted to an access control panel to control and secure physical access which is assigned to an individual to determined their access rights to specific areas. A coiled antenna and chips inside the card or key fob hold the specific numerical programming and determine the range at which the card can be read.